NALC Webinars offer NOVA Premier Members the opportunity to earn continuing education credits. 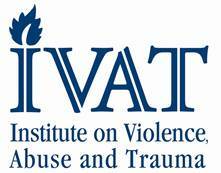 NEW Benefit for Social Workers, Counselors and Marriage & Family Therapists: Through our partnership with the Institute for Violence Abuse & Trauma (IVAT), NOVA Premier Members attending our NALC Monthly Webinars can apply to receive CEU Credits (1.5 credit/webinar) for licensure as Licensed Clinical Social Workers (LCSWs), Marriage & Family Therapists (MFTs), Licensed Professional Clinical Counselor (LPCC) and Licensed Education Psychologists (LEPs). Continuing Education Hours for NACP and D-SAACP Advocates: ALL Webinar Attendees will receive an electronic Certificate of Attendance following each monthly webinar. These certificates will include CEU hours earned (1.5/webinar) for the National Advocate Credentialing Program (NACP)® and DoD Sexual Assault Advocate Certification Program (D-SAACP). This service is included in your Premier Membership and no additional fee is required. *The CE bundle option is only available as a pre-purchase – you cannot count retroactive CE purchases. *CE Fees are transferable – unless part of the bundle has been used. Bundles cannot be shared.